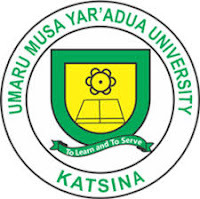 This is to inform all returning and fresh undergraduate students of the Umaru Musa Yar’adua University, Katsina that the management of the institution has announced the extension of the late registration deadline for the 2017/2018 academic session. The late registration deadline that was earlier fixed for 9th April, 2018, has extended to 23rd April, 2018. Read Also: UMYU Screening & Registration Guidelines for 2017/2018 Academic Session. In view of the above, all students are advised to ensure that they complete all registration formalities on or before the new deadline. Failure to register will be deemed as voluntary withdrawal from the University.